We’re still at the stage where we know next to nothing about what devices will run WP7, what they can do, or what they’ll be called. Luckily, we’re surrounded by internet detectives who are more than happy to go pouring through website source codes and FCC submission documents in order to find out as much as they can. We recently got wind of the Samsung Cetus, and now we know its shape, too. 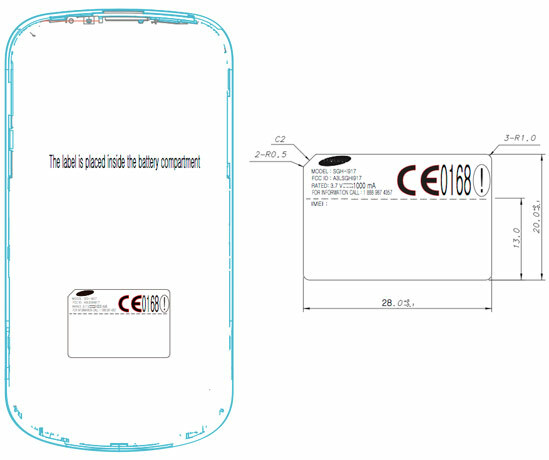 This familiar looking silhouette has caused at least one site to theorize the Cetus might be a rebranded Samsung Galaxy S.
There was also a recent FCC filing for an HTC WP7 phone, noted as model PD26100, with Bluetooth, 802.11n WiFi and support for GSM 850 / UMTS I and II. Nexus 404 went nosing about in HTC’s XML code, and found reference to the HTC Spark, with a 480×800 screen and GPRS, aka this device. There’s a pretty good chance all the references point to the same phone.